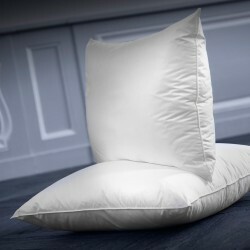 The shape memory pillow generally refers to a synthetic pillow or shape memory pillow, which adapts to the user's sleeping and sleeping position. 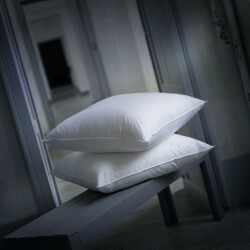 The pillow of our range closest to a shape memory pillow is our Synthetic Pillow Alliance. At Dumas Paris, we prefer to offer pillows adapted to each sleeper profile, close to these shape memory pillows, but even more personalized (several packings and firmnesses possible), and with high quality materials. 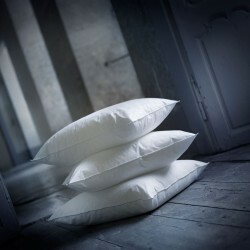 By answering the short questionnaire « your ideal pillow » present on the tab « pillows » of this website, you will be sure to find a pillow that is made only for you. And if you want more personalization, you can also order a pillow that is totally tailor-made, way better than a memory pillow. We will realize it to your dimensions and with the firmness desired. The tailor-made products are manufactured under ten days and sent to your home or in a relay point of your choice. Be careful when taking measures: the custom made products can not be returned (neither taken back or exchanged). Our exclusive GSD® patent can be applied on demand: it consists in a double envelope system with an anti-mite and anti-bacterial interior lining treated for maximum hygiene. The GSD® system helps to fight against mites and limits the allergic risk.